This photo shows you what months of use does to the pristine packaging (it's dye people-it stains!) but as you can see I usually purchase two boxes - I buy the colours dark brown and black and I mix a pea sized amount of both together in order to achieve the colour I want. 1) Remove all make up from the eyebrow area. 3.) Squeeze a pea size amount of each dye into a mixing bowl (there is one provided but I use my own) and add the developer liquid a few drops at a time whilst stirring together to achieve the right consistency - it should end up a paste that contains no lumps but doesn't drip. 4.) Apply to eyebrows (see below) - you can use the spooly or wand provided or you can use an eyebrow brush or cotton bud. 5.) Leave on for 1-2 minutes then wipe off with a baby wipe/damp (dark) flannel. Always err on the side of caution and leave it on for a little bit at a time as a repeat application is easy - if you dye them too dark you're stuck with it! In most beauty salons it costs between £11 and £15 each time you want to tint your eyebrows. Each box of dye costs £8.16 and lasts 'up to 16 applications'. It saves so much time, money and effort if you take the plunge and start to tint your eyebrows at home. I have literally just done mine thus I can't do a video yet but hopefully the above tips will help- it is a very very simple and quick process. 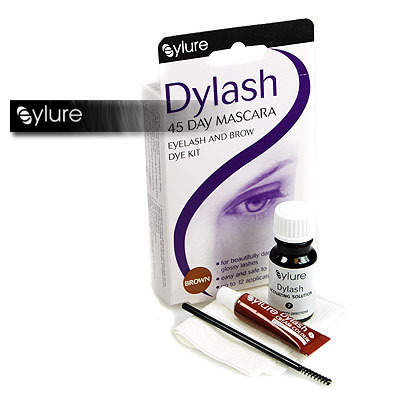 It is highly recommended that you do a patch test before you use this product. A great video on tinting your eyebrows by Lauren Luke can be found here. Let me know if you have any questions. Also interested to know if you're a fan of the lighter hair/darker eyebrows look or if you hate it? Thoughts on 'strong brows' in general? I'd love mine to be even bolder/bigger!